It's no secret that I have a bit of a boot obsession. Don't get me wrong, I love a killer pair of heels, but few purchases make me as excited as a brand new pair of boots. So, as you can probably imagine, I am very into the cut-out bootie trend for summer. From casual day dresses to dressy shorts to skinnies and a tee, they really do work with everything. What's your take on the summer bootie? Cute booties! Especially love 5 and 7. #8 has such a cute heel! Holy cow. OBSESSED with #8. 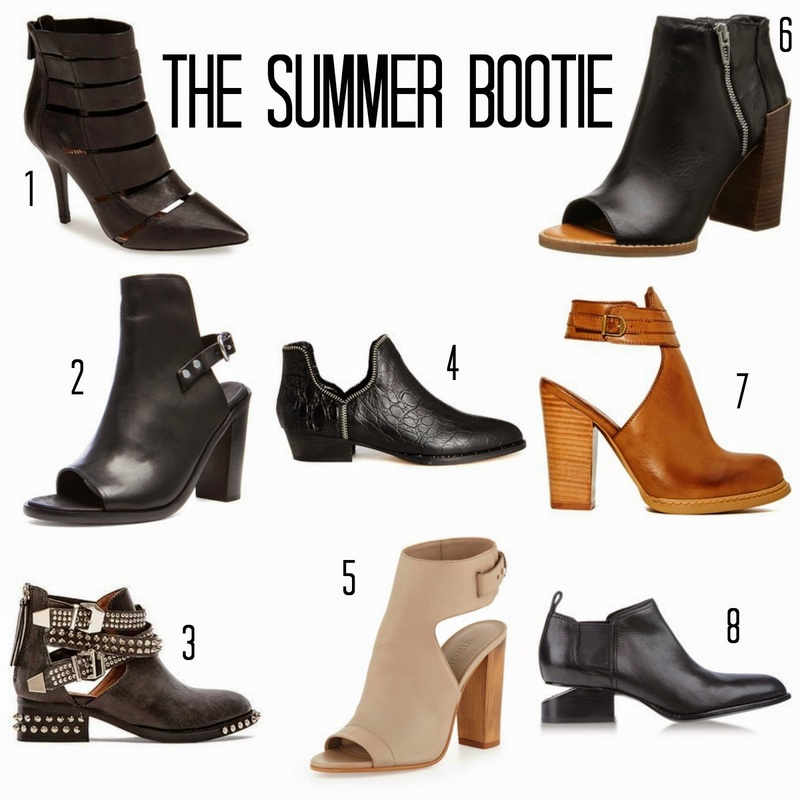 Love summer booties, they are so chic! I hear you on the bootie obsession. You've got some great ones here, especially loving #5 and #1. I really love them, too! I feel like they add a little extra oomph to a dress or skirt. Sandals are nice too, but they just don't make as much of a statement. Alot of the ones you found are super interesting- like #8's cut out in the heel is such a fun little detail!